If you're looking for unusual baby shower gifts for mom, have a look at the books on this page. If one or both new parents are readers, I have some great suggestions that will put the new bub on the road to being a bookworm, even before he or she is born. We've known for some time now that reading to children is important for their development but many parents don't know know that this works best if they start reading to their babies as soon as possible after birth. 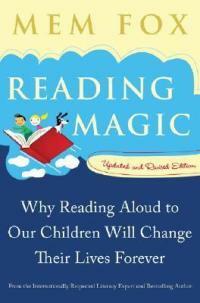 Two great books, 'Reading Magic' by Mem Fox and 'The Read-Aloud Handbook' by Jim Trelease explain how reading to children gives them a head-start in life when it comes to reading. They discuss why being a capable, confident reader is so important for our kids' success at school and beyond and how parents can raise a child who loves reading. So, if you're looking for special and slightly unusual baby shower gifts for mom and dad, why not put together a cute selection of books? 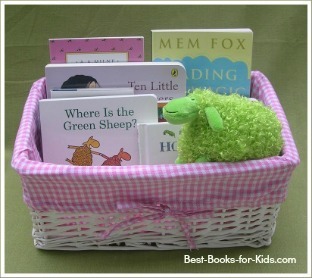 The basket looks lovely and is a great way to store the books so that they're handy for all those read-aloud sessions. I usually add a soft toy to the basket, usually one that's related to one of the books I'm giving, and I always include a copy of Mem Fox's award-winning book Where Is the Green Sheep? so I also pop in the cute little green sheep soft toy you can see peeping out of the book gift basket. 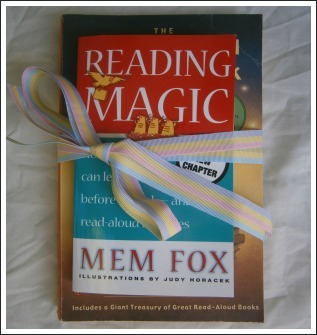 Baby Shower Gifts for Mom: Why Books? Reading aloud to children from the time they're babies also makes it more likely they will learn to read easily and probably earlier than Mum and Dad would expect. Most parents would like their children to become good learners and to do well at school. The easiest, most enjoyable and most effective way to make sure this happens is to read, read, read! The books I've recommended on this page are easy and fun for the parents-to-be to read. They're the kind of books they'll dip into again and again as their little ones grow up. I honestly can't think of a better baby shower gift for Mom and Dad! If you're looking for ideas for a baby shower - either for your own shower or if you're hosting one for a friend - why not consider a book-theme? There are loads of ways you could work this but the key thing is that guests bring a book as a gift for the new baby. You can read more about hosting a baby's first library shower here.